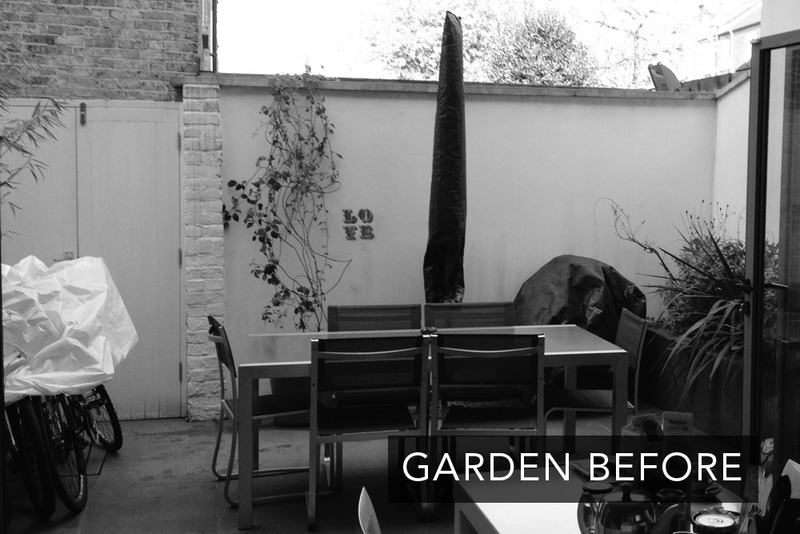 The client just moved in a new refurbishmed house and the patio at the back has been tiles with dark grey tiles as per the adjacent kitchen floor. 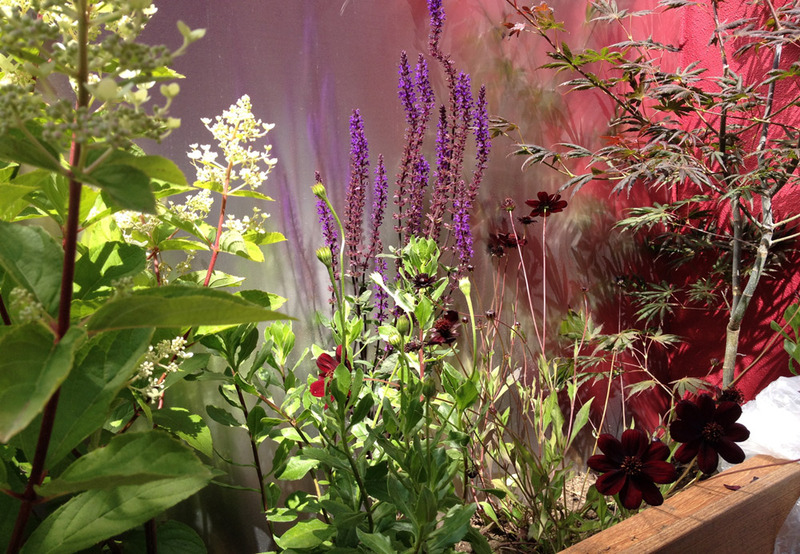 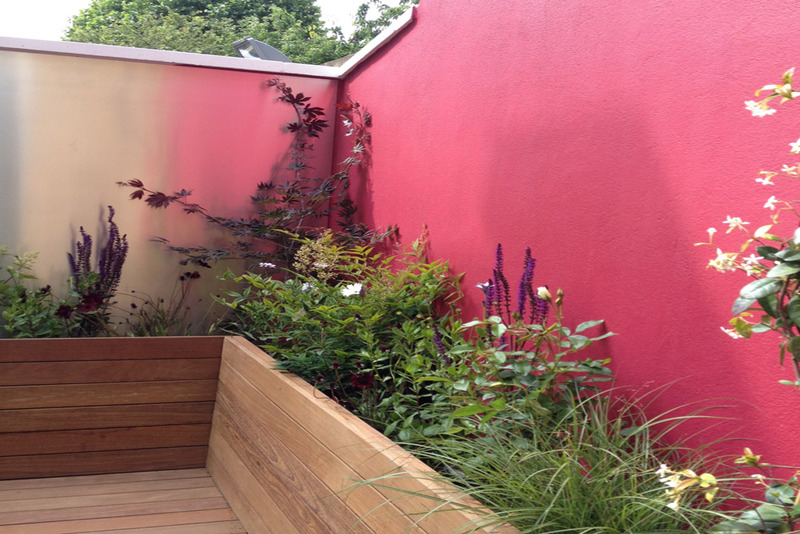 A small planting bed ran along the right hand side wall and the whole area was surrounded by tall white painted walls. 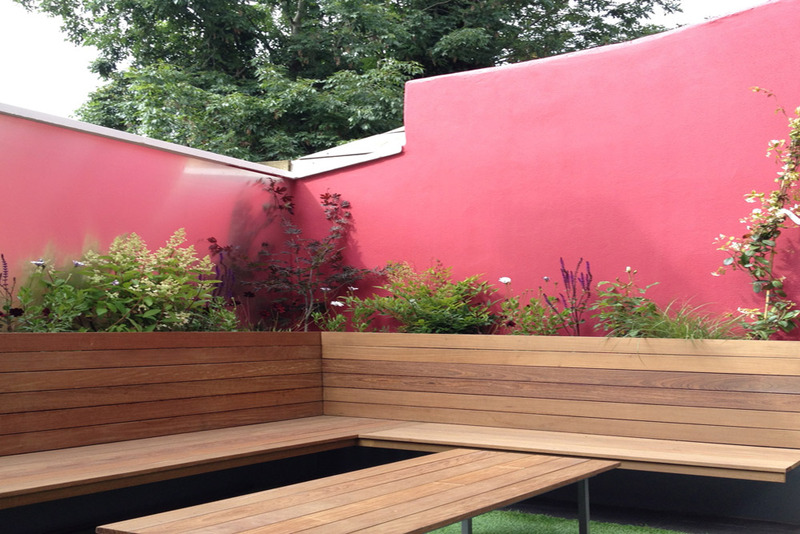 In order to give more interest and a sense of spaciousness to this small patio, the outdoor dining area has been changed for a invited lounging area with built-in floating benches and raised planting beds along the walls. 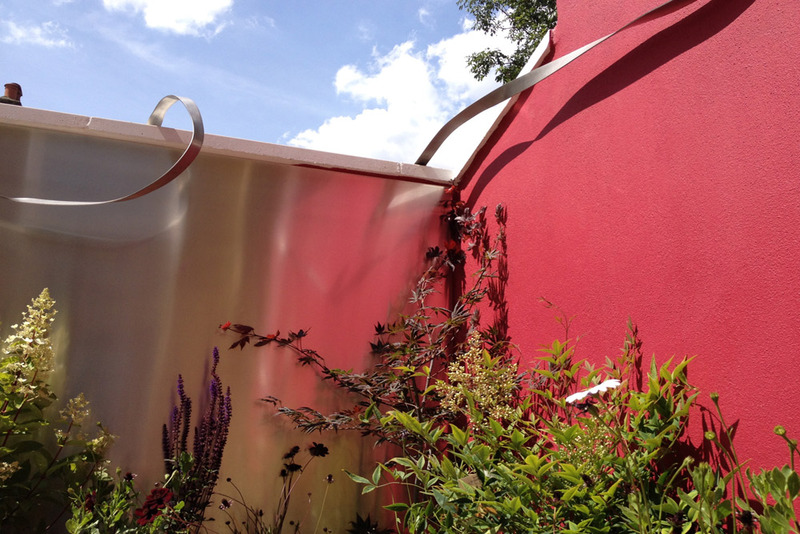 The tallest wall has a warm crimson colour and the back wall is clad with aluminium, bringing both light and depth to the area. 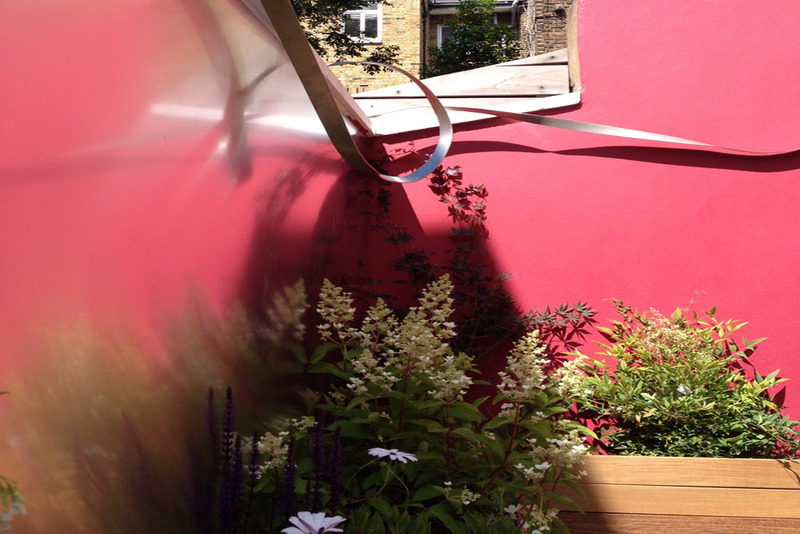 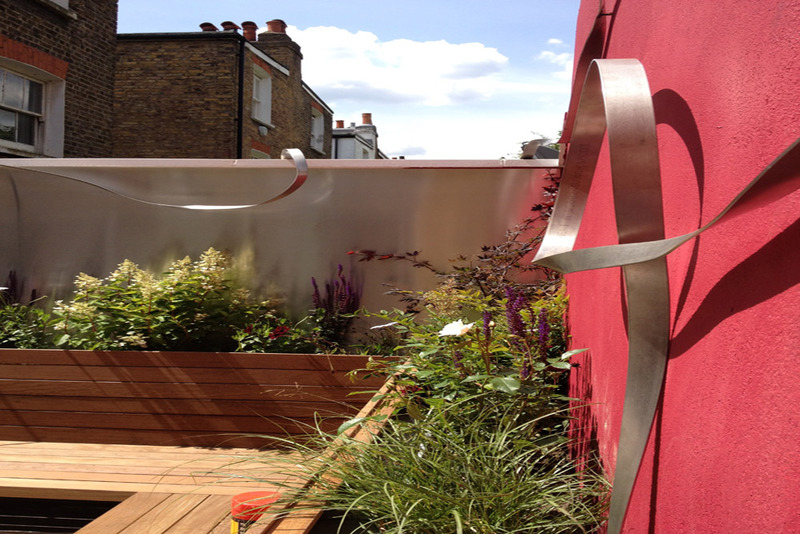 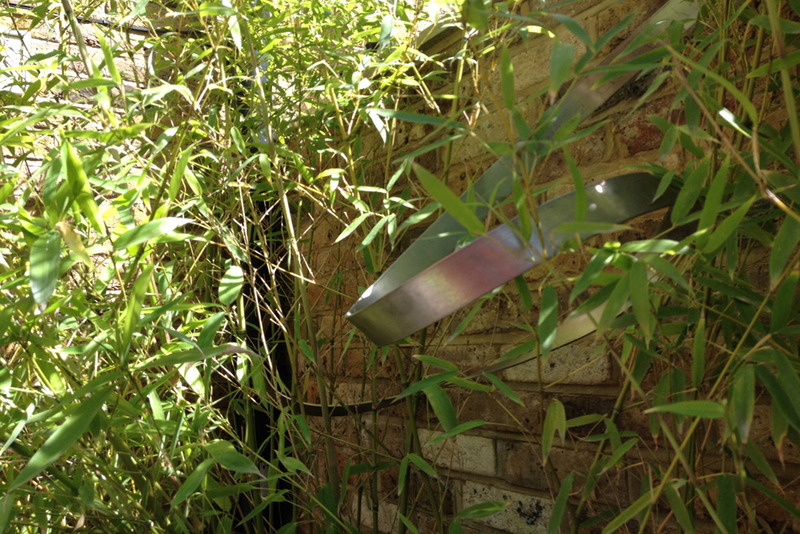 The corners are softened by the addition of a metal ribbon running softly along the top of the walls creating interest and a support for climbing plants. 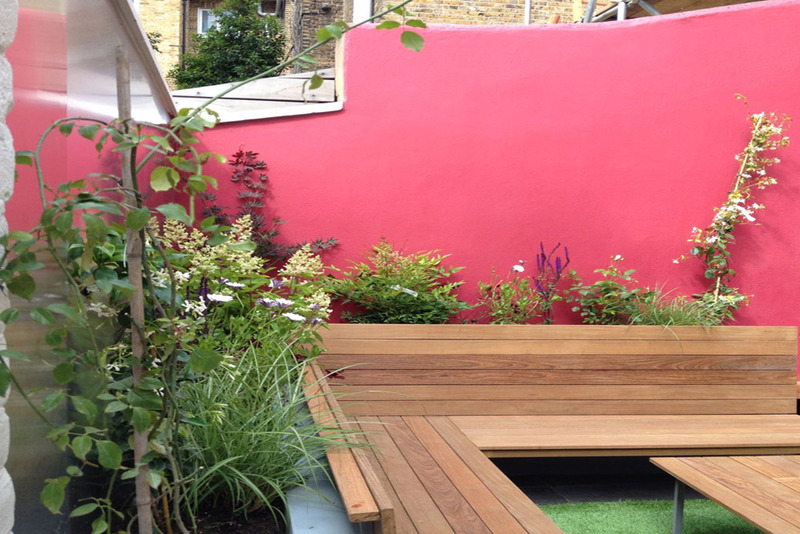 Planting is mainly evergreen to give year long interest combined with a mix of grasses, herbaceous and climbing plants.